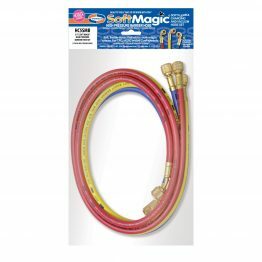 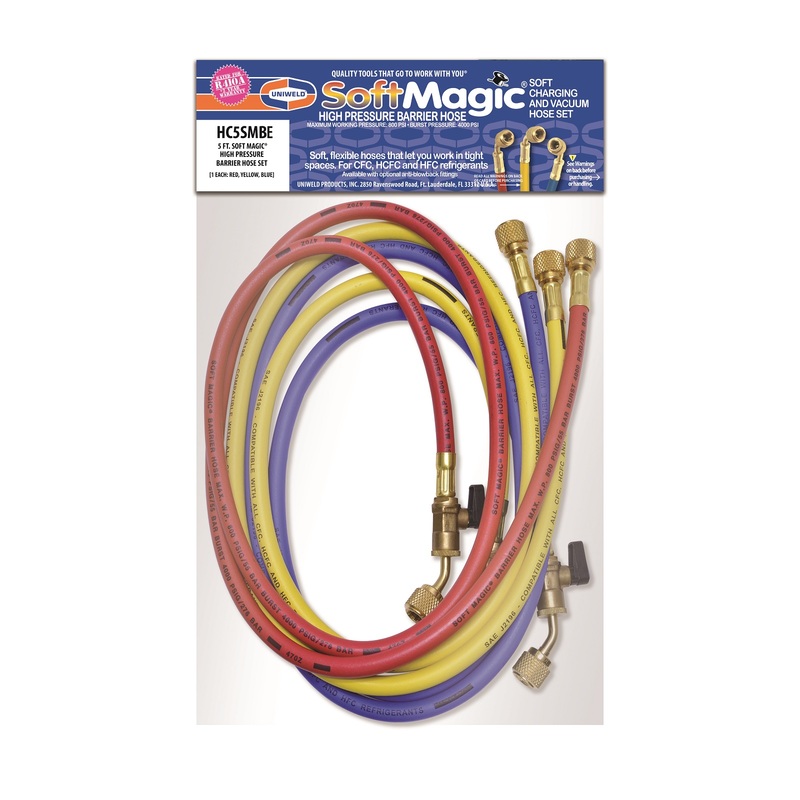 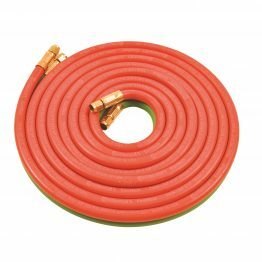 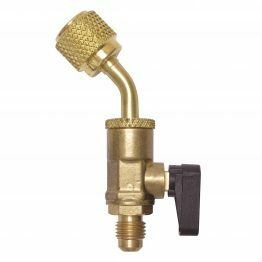 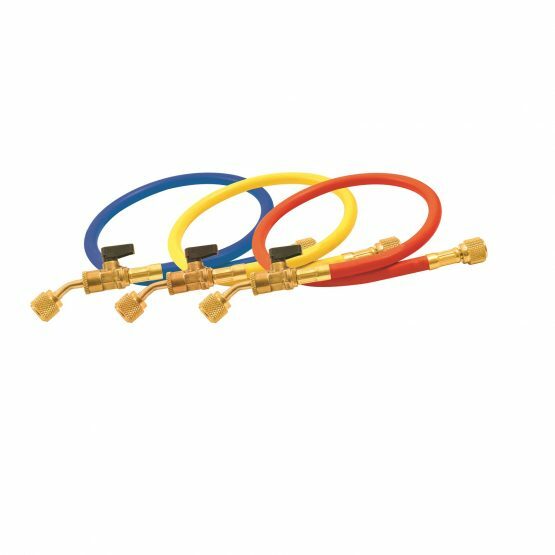 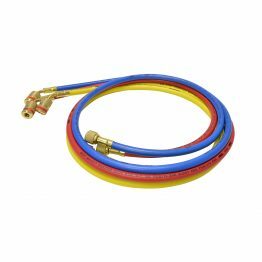 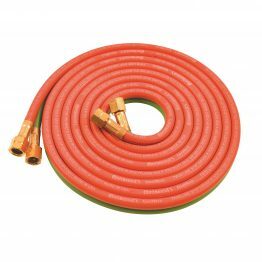 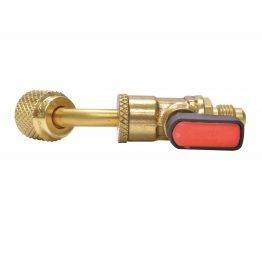 Soft Magic® Barrier with Ball Valve Hoses – Uniweld Products, Inc.
Uniweld's Soft Magic® Barrier Ball Valve Hose has our universal ball valve with patented interchangeable service connectors and flex service hoses that connect easily to that hard-to-reach access fitting. 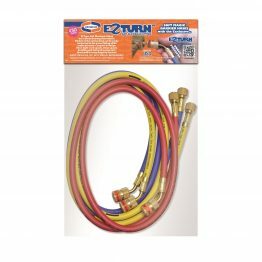 Easy-snap-in service connectors available: straight, 45° bend, 90° bend or a 6″ service hose. 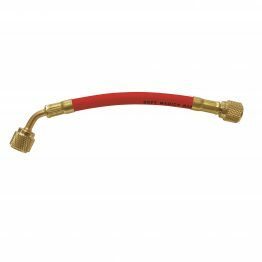 Maximum working pressure is 800 PSI with a burst pressure of 4000 PSI.